Patch Cable for the AIS VHF Antenna Splitter. This 2m (6.5ft) patch cable has a PL259 connectors that connect the Vesper Marine AIS VHF Antenna Splitter and your AIS transponder, receiver or VHF radio. Note: As of July 1, 2017 the splitter now includes two of these patch cables to go between the splitter, AIS and your VHF radio. 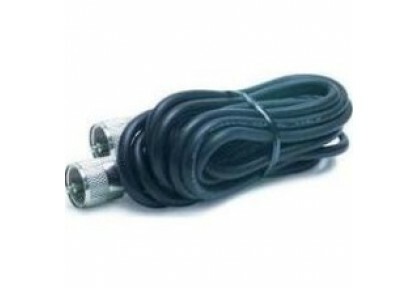 This is a replacement cable or may be used wherever a short antenna cable or jumper is needed.